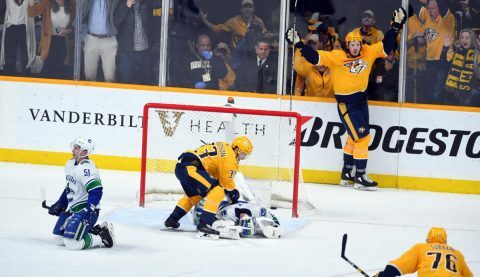 Nashville, TN – Things looked pretty bleak for the Nashville Predators tonight after the first intermission, trailing the lowly Vancouver Canucks, 2-0. With Nashville in a real battle for the central division title of the Western Conference, and the St. Louis Blues bearing down on the Preds, this game had real significance. 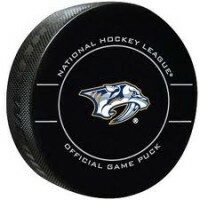 Not only does Nashville want to win their division, but they want home ice advantage throughout the Stanley Cup playoffs and it all seemed to be slipping away in this game tonight. 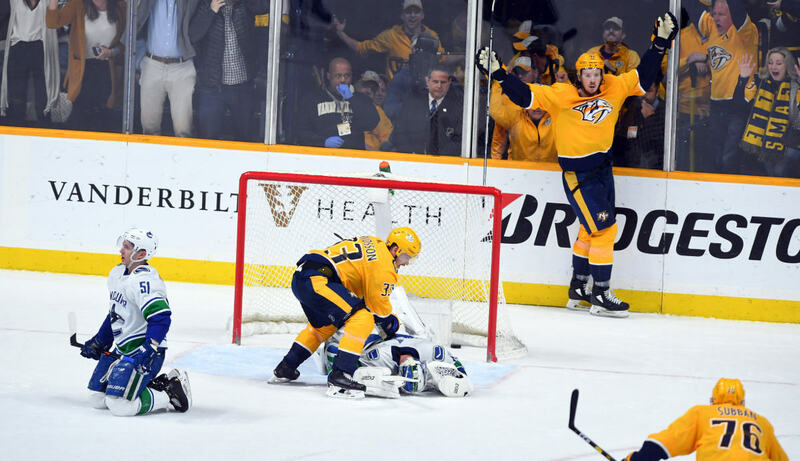 First, Markus Granlund backhanded the puck past Nashville goalie Pekka Rinne after taking a perfect pass from Quinn Hughes and the Canucks led 1-0. Clarksville, TN – The Austin Peay State University (APSU) beach volleyball team is on the road for its final matches of ASUN Conference play against Jacksonville State and Coastal Carolina in the Conway Classic, beginning Friday morning and ending Saturday afternoon. 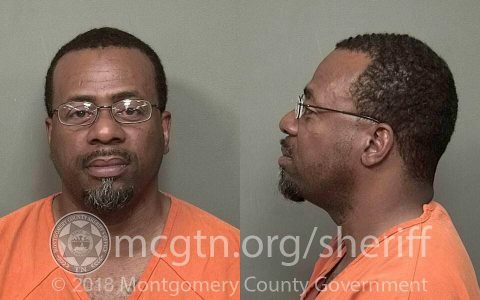 Clarksville, TN – Clarksville Police Sgt Rodriguez was on patrol, Thursday, April 4th, 2019 around 2:00am when he spotted a man inside the passenger compartment of a Mustang on the parking lot of Best Motors on Fort Campbell Boulevard. 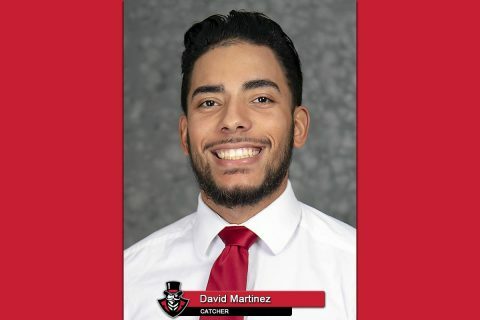 When approached by officers and asked what he was doing, he responded “Stealing”. 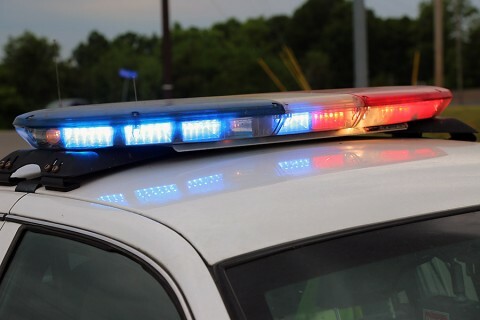 Clarksville, TN – A woman in her 30s reported that she was robbed while jogging in the area of Nat Hoosier Lane, Tuesday, April 2nd, 2019 around 9:00pm. Two individuals, a man and woman approached her from behind, and demanded everything she had. 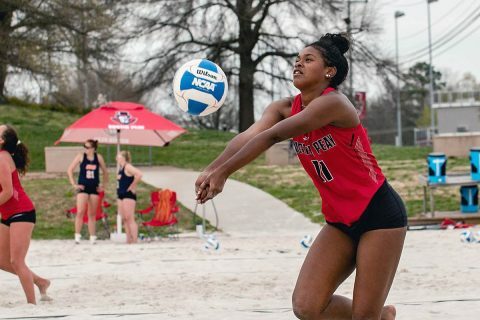 She was grabbed and punched, then an item of jewelry was taken off her wrist. When a car drove by, the suspects fled from the scene. Clarksville Police Police responded Tuesday to a call of a woman being robbed while jogging near Nat Hoosier Lane. 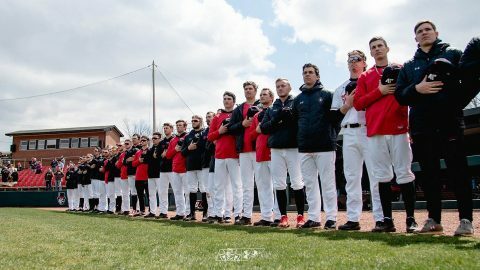 Clarksville, TN – The Austin Peay State University (APSU) baseball team begins the second half of its 2019 regular-season schedule and continues its four-game road stretch when it makes its second foray into Kentucky this season for a three-game Ohio Valley Conference series, Friday-Sunday, at Eastern Kentucky. Clarksville, TN – Clarksville Police report the 27 victim of the drive-by shooting is still being treating for his injuries, but is in stable condition. 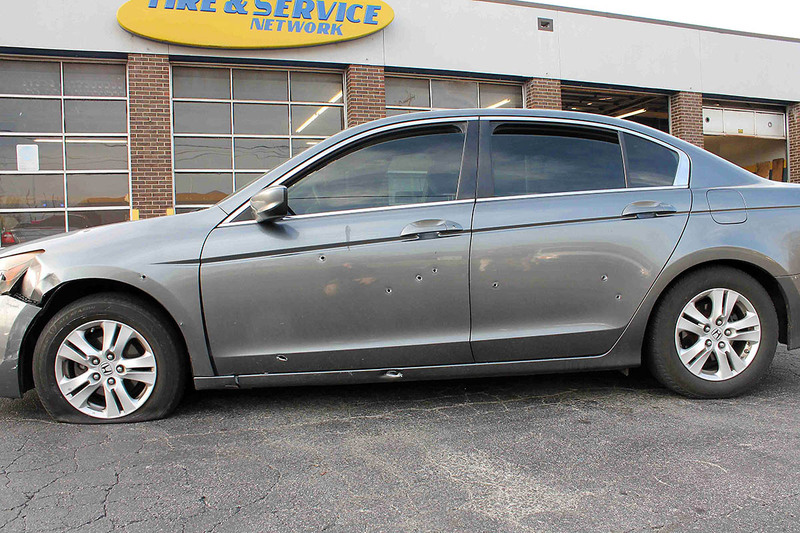 The shell casings recovered at the crime scene were 40 caliber. The children were in the rear seat of the victim’s vehicle and there were multiple rounds which struck the vehicle in the exterior area of where the children were seated. Bullet holes in the side of the vehicle shot at on Fort Campbell Boulevard, Wednesday. 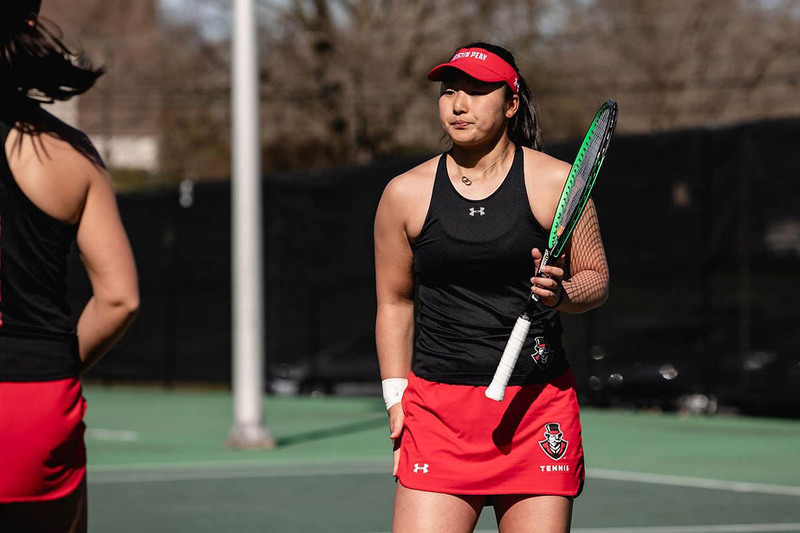 Clarksville, TN – The Austin Peay State University (APSU) women’s tennis team returns home for a two-match weekend, starting with facing off against Southeast Missouri, 12:00pm, Friday, April 5th before taking on UT Martin, 2:00pm, Saturday, April 6th. 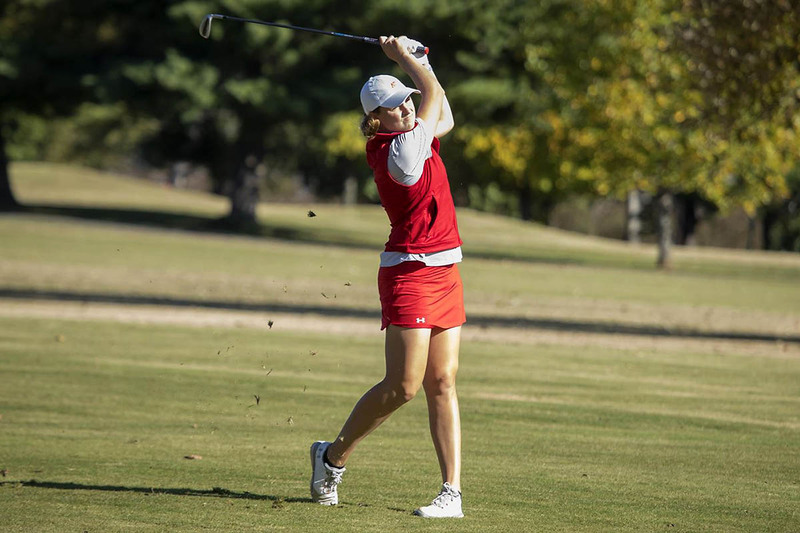 Clarksville, TN – The Austin Peay State University (APSU) women’s golf gets one final chance to prove itself ahead of the 2019 Ohio Valley Conference Women’s Golf Championships when the Govs make the trek north to the Jan Weaver Invitational, hosted by Murray State, at Miller Memorial Golf Course. 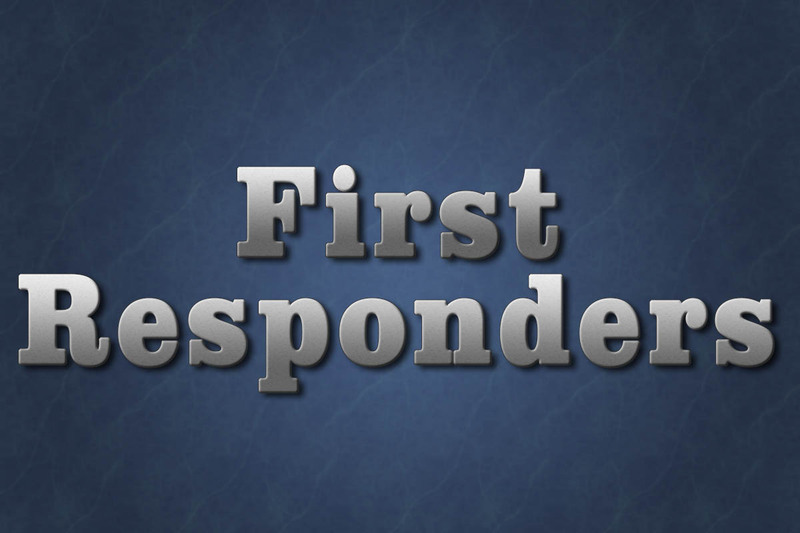 Clarksville, TN – Clarksville Fire Rescue and Montgomery County EMS first responders assisted in the emergency birth of a child in a hotel room on Kraft Street. The call came at 8:40pm Saturday, March 16th, summoning an ambulance for a 29-year-old woman in active labor at the Midtown Hotel, 890 Kraft Street. Wichita, KS – Austin Peay State University (APSU) senior catcher David Martinez was one of 79 catchers nationally named to the 2019 Buster Posey Award Watch List presented by the Greater Wichita Area Sports Commission.